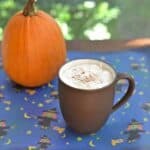 One of my favorite fall drinks is the Pumpkin Spice Latte. I usually head to Starbucks to get one but the nearest Starbucks is over an hour away from my house. I haven’t been there in a few weeks but I’ve been baking with pumpkin and craving a Pumpkin Spice Latte. Now I’ve made my own pumpkin lattes before. 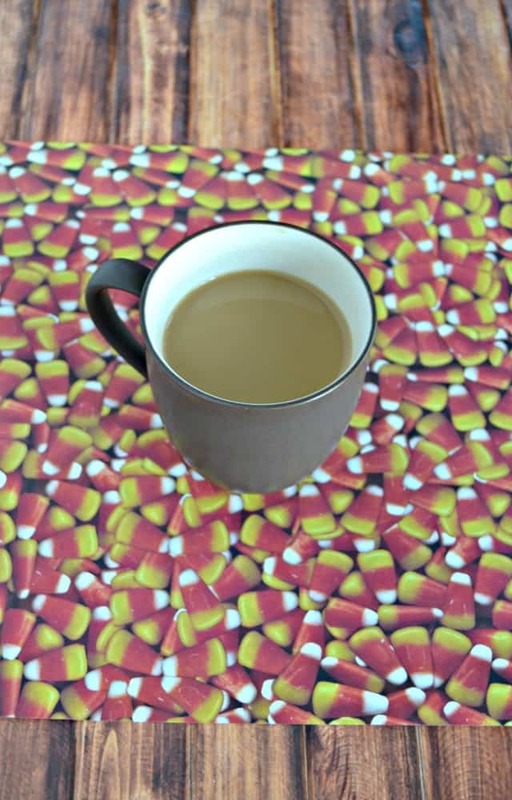 I have a skinny version that is really good but has less calories then a traditional latte. 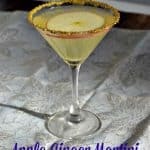 I’ve also make a Pumpkin Spice Martini which is an alcoholic version of my favorite coffee drink. This time I’m combining both recipes to give you the ultimate fall party drink. 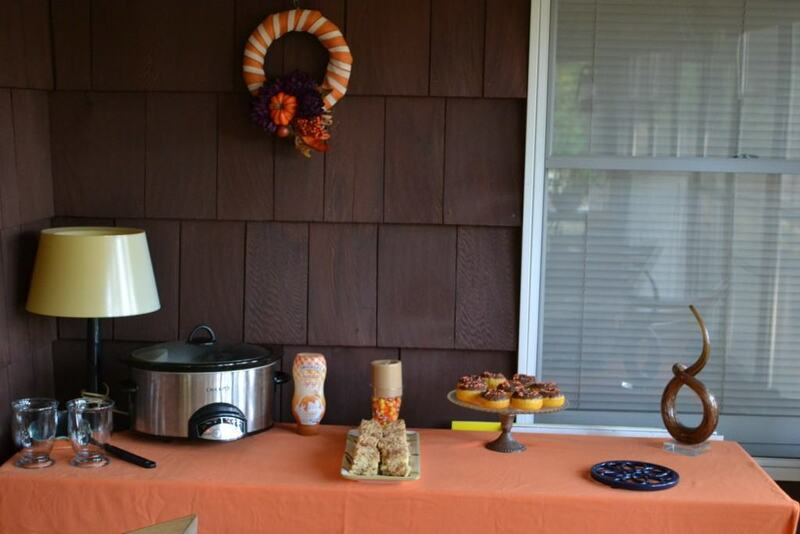 I’m saying it’s a party drink because it’s made in the slow cooker so there is plenty to go around. You can easily double this recipe as well to serve more people and since it’s in the slow cooker it’ll stay warm throughout your party. If you are making this for yourself you don’t have to put it in the slow cooker. 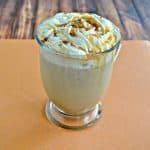 I cut the recipe in fourths and just mix it up in 2 mugs for my husband and I. It’s an easy recipe using coffee (I like using pumpkin spice coffee but you can use unflavored), milk, cream, pumpkin, spices, and Rum Chata. It’s sweet, spicy, totally delicious, and the perfect way to end Pumpkin Week. In fact, I like it more then I like the lattes at the local coffee place. 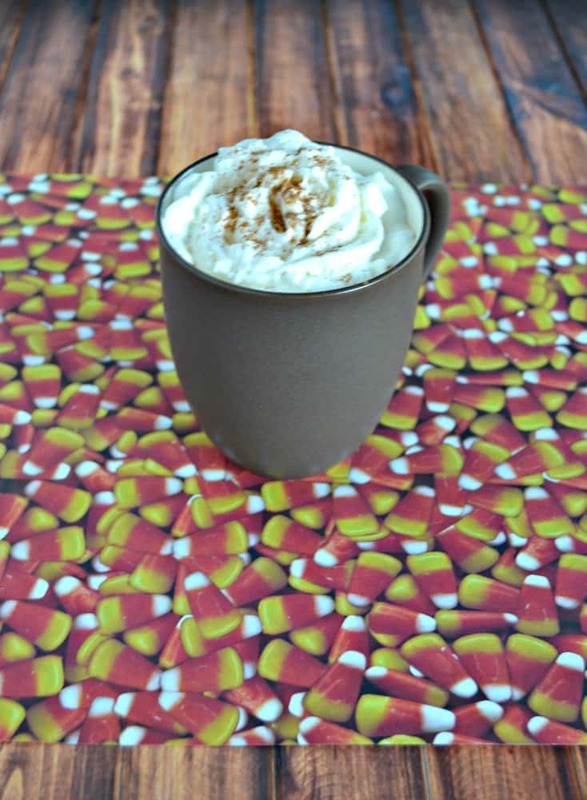 Once you ladle it into a mug you can top it with whipped cream. If you really want to get fancy you can dress it up with whipped cream, caramel sauce, and pumpkin spice on top. 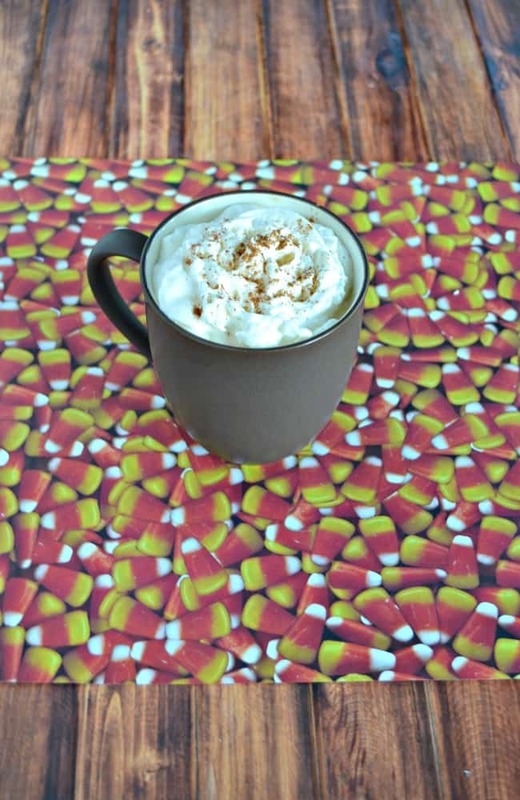 It’s definitely the best drink you’ll have this fall! 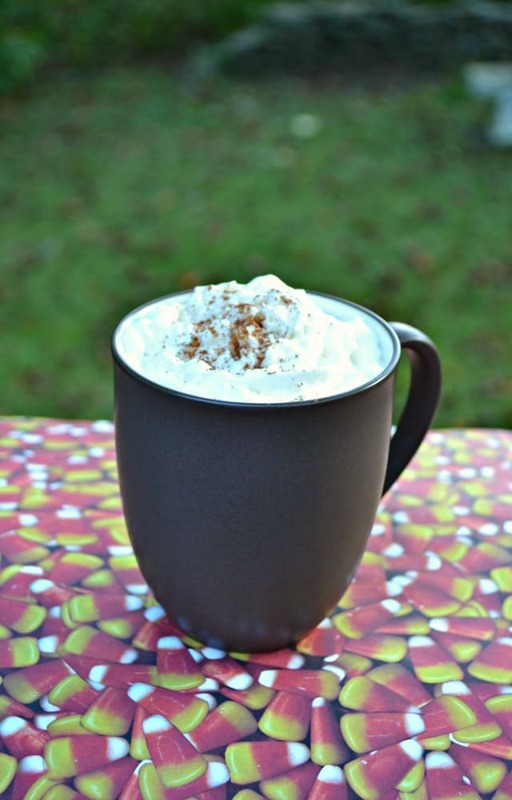 A delicious sweet and spiced pumpkin latte spiked with Rum Chata and topped with whipped cream and caramel sauce. Pour the coffee, milk, cream, pumpkin, sugar, vanilla, and pumpkin pie spice into a slow cooker. Cook on high for an hour. 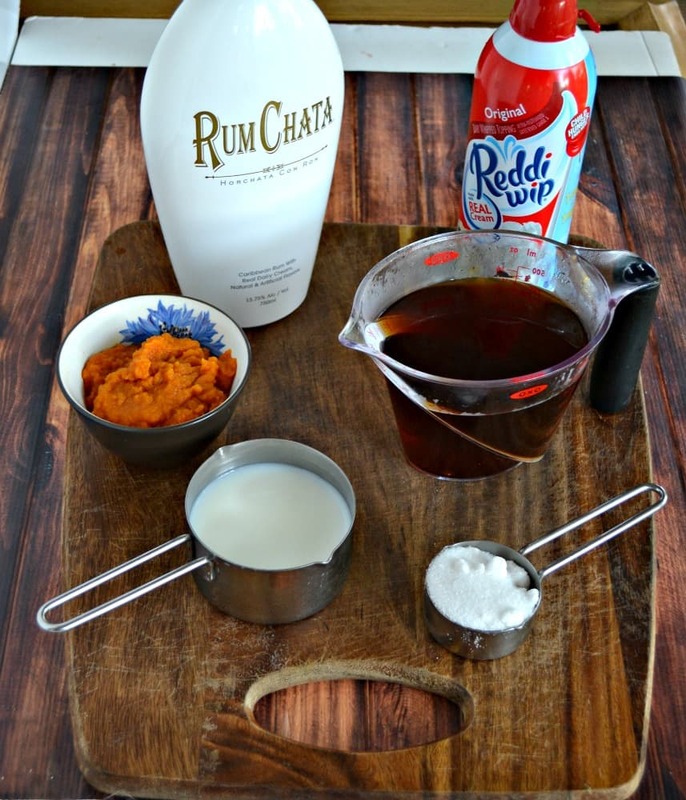 Mix in Rum Chata and stir well. Turn the slow cooker on low. 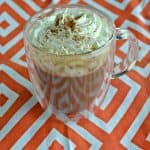 Ladle the latte into a mug and top with whipped cream, caramel sauce, and pumpkin pie spice. I will have to make this for my sister the next time she visits. I know she will be crazy about it.